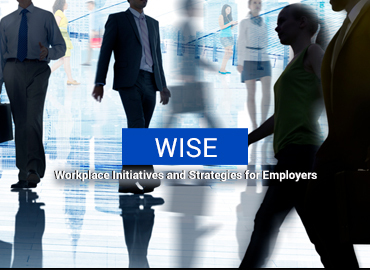 Every day, employers are confronted with new, varied and frequently thorny workplace challenges. Going well beyond traditional contract disputes and allegations of discrimination, businesses today are faced with an ever-changing regulatory and legislative environment in areas such as social media, wage and hour compliance, expansion of anti-discrimination laws, and health care reform to name just a few. Saul Ewing Arnstein & Lehr’s Labor and Employment Group represents clients, both domestically and internationally, across the spectrum of industries, including insurance and reinsurance, government contracting, financial and professional services, lower and higher education, restaurant and hospitality, life sciences, health care, technology, retail, manufacturing, construction, maritime, printing, recreation, and many others. Our clients range in size from Fortune 100 publicly traded companies with tens of thousands of employees, to closely held family businesses, not-for-profit organizations, charities, academic institutions, sole proprietors, entrepreneurs, and everything in between. Saul Ewing Arnstein & Lehr’s management lawyers regularly provide labor and employment counseling and handle a broad array of matters before administrative agencies and state and federal courts throughout the country including discrimination, harassment and retaliation, wage and hour, affirmative action and governmental contractor, SOX, OSHA, FMLA, asset and trade secret protection, class and collective actions, disability issues, employment-related immigration, human resource administration and training, workplace safety and health issues, wrongful discharge, whistleblower claims and common law claims. Our team, which includes fellows of the College of Labor and Employment Law and the American College of Trial Lawyers and leaders of the American Bar Association’s Section of Labor and Employment Law and many other organizations, has significant depth in traditional labor matters. We help clients draft non-competition, non-solicitation, non-disclosure and other restrictive covenant agreements to protect against unfair competition and we regularly litigate these cases across the country. We are also cognizant of legislative and regulatory changes that impact our clients, and our Washington, D.C. office allows us to readily assist clients with federal regulatory and legislative issues. When a client has a legal question involving its workforce, it is likely that our labor and employment attorneys have previously handled a similar issue and guided our clients to a resolution. Our knowledge, experience, depth and creativity allow us to assist clients in responding to new and novel labor and employment issues. Unlike specialty boutiques, we are also able to back our labor and employment services with the added resources of a full service business law firm. Obtained summary judgment on behalf of one of the country’s largest retail supermarket companies in a multi-employer hybrid LMRA Section 301/breach of the duty of fair representation case, currently on appeal to the DC Circuit. Represented an international hotel chain in connection with alleged unfair labor practice charges under §§8(a)(1) and (a)(3), including the trial of such charges before the NLRB. Representation of a state-wide system of public universities with respect to labor relations matters, including labor negotiations, arbitrations, and grievance proceedings. Represented multiple Fortune 500 companies in their collective bargaining negotiations covering ”on air” talent appearing in TV, radio, and internet commercials. Represented national newspaper company in collective bargaining negotiations. Corporate counsel have named Saul Ewing Arnstein & Lehr to the Honor Roll in Employment Litigation in BTI Consulting’s Litigation Outlook 2019 Report.